We have a NEW (temporary) Venue!!!! Due to the smaller show hall, entries are LIMITED to 44 full entries - We will not offer extra tables until all interested parties have a chance to entry - At that time, extra tables will be assigned on a first come first serve bases. You are considered entered only after payment is received. 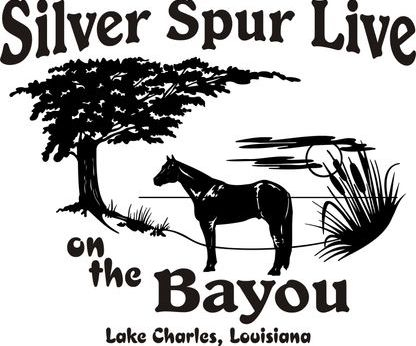 SILVER SPUR LIVE On The BAYOU has applied for NAMHSA approval. which is a FaceBook group page that you will need to request to join – ALL show info, including a complete class list, is available here with Downloadable files. The Show Hall will not be opened until 8:00am Saturday – The first class will be called at 9:30am. We will break for lunch for one hour as close to 12:00 as possible. There are lots of fast food places near the show hall. Unfortunately, due to the smaller size of our venue, we Can Not offer a Youth Show this year. Judges are allowed to enter any Divisions that they are not judging. Judges cannot judge their own work, or the work of relatives. Judges may be substituted where needed. NAMHSA: Silver Spur Live on the Bayou has applied for NAMHSA approval! We have not been approved as of yet - interested parties will be notified immediately upon approval! Any horse winning 1st or 2nd place in *NAN Qualifier* classes will get a NAN ticket which will make them eligible to show at the North American Model Horse Shower¹s Association National show in the years marker on the cards. Awards and Prizes: New and Recycled Paper Ribbons up to 6th place in all classes. Full results emailed to all entries. Rosettes to Champs and Reserves, special Silver Spur Live awards, Door Prizes, Raffles, Drawings, and more! RAFFLE: Raffle donations are gladly accepted - we will have raffle items & sell tickets 1-$1, 6-$5, 15-$10, 30-$20 - The raffle will be drawn about NOON Sunday - Need not be present to win - If not present, winner is responsible for shipping. Sales: Everyone gets one table upon entering. Extra tables, if available at time of show, will be offered for $15.00. You are welcome to bring things to sell on your show table. Additional tables will be available for rent as space allows but you must request this ahead of time. COMMERCIAL VENDORS: At this time, we do not have a Breyer vendor, but hope to have a few independent vendors attend. We will Not Supply a Printed Show Packet - You will be responsible for providing your own Show Bills. Please join us! If you have any questions regarding the show, please send them to Charlotte D. Martin at the email or addresses listed above. Hotel: There are several hotels within minutes from the venue. These are not blocked for our show, but just to list a few: The Mulberry Hotel - 917 Mulberry St., Westlake, LA, LaQuinta Inn - 1008 Sampson St., Westlake, LA, Isle Of Capri Casino & Hotel - 101 Westlake Ave., Westlake, LA - There are Many, Many hotels in the area BUT I Highly Recommend NOT crossing the bridge into Lake Charles - there is some major construction going on in our area & traffic is unpredictable at best - I recommend going toward Sulphur if you prefer not to stay in Westlake - there is a back way that I can tell you about that will keep you off the interstate. Do a Google search or MapQuest search to find the best deals! Camping: There is an Arena just down the road from the show hall. Contact West-Cal Arena at 337-528-9378 for possible RV hookup rental space. TAGS: Please use white 1” string tags for your models Silver Spur Live on the Bayou WILL BE USING the EMCAT numbering system this year. Front of tags should have only the model's entry number, breed and gender showing. See example at below, XYZ being your number, 001 being your horse's number. Only this side should be where the judge can see it. Back of tags may have your name and the horse's name so you can ID them. You can get a number by emailing Daralyn Wallace at [email protected] . There is a list on the Region 5 Facebook page ,https://www.facebook.com/groups/namhsaregion5/files/ but Daralyn has the most up-to-date one. Entrants MUST provide an emailed or printed list of their horses prior to the end of show. Your list should be organized numerically by horse number & name & include your name, email address, EMCAT number and a contact phone number. ******YOUTH only entrants will NOT be required to have an EMCAT number - Please, let us know that your entry is for Youth Only & we'll issue you a SHOW NUMBER to be used on your tags! Tag Fronts will have your NUMBER, your horse's NAME & horse's BREED & Gender - Tag Backs can have your name for identification purposes. HARNESS CLASSES: A proper harness is required. Cart or buggy not required, but recommended. OTHER COSTUME/PARADE: Outfits must match the breed of horse. HUNTER/JUMPER/3 DAY: MUST show with appropriate obstacles and jumps. Please state which event you are showing in. DRESSAGE: Must state movement and Level – pattern should be included. All proper equipment is required. CUTTING/ROPING/STOCK WORK: At least one Heifer required for cutting, calf or goat and rope required for roping, appropriate animals required for STOCK WORK. (HINT: CALVES are not used for Cutting.) Explanation cards recommended. BARRELS/POLES/GAMES: All proper equipment (barrels, poles, etc... ) required. TRAIL: This is to be ARENA Trail – Natural Trail would go in the OTHER Performance class. OTHER PERFORMANCE: Any performance not listed. Packing, Showmanship, circus, etc... are allowed. Natural Trail would go here. Please state what event horse is doing. Documentation is highly recommended. DOLLS may be used in any classes except Halter. Halters are not recommended for Halter classes. PLEASE, avoid placing additional “props” with Halter entries as this takes up room on possibly already crowded tables!!! If you have a question about where a horse will go, please ask. FOALS and Yearlings will show in the Foal classes and make classes only. They have their own Championships, so they cannot cross enter into the Breed classes. The CUSTOMIZED DIVISION (CM) includes all customized models. Repaints and etched models go in this division, as well as extreme customs. Any horse that has been altered from its original finish from the factory goes into this division. The ARTIST RESIN Division (AR) is for all Artist Resins or Original Sculptures. The BREYER VERY LIMITED RUN Division (VLR) will include BreyerFest & BreyWest Glossed RR Prize models. The STONE OOAK/LIMITED RUN/EXTREME FACTORY CUSTOM Divison will include All Design A Horse (DAH) models. The ORIGINAL FINISH PLASTIC (OF) division includes any horse that is mass produced from a factory. You would show all OF Breyers, Stones, Hartlands and any other OF Plastic models here. Any alteration to an OF model reclassifies it as a CM. Minor touch ups that are not noticeable are okay. The OF CHINA/RESIN Division (C/R) is for any OF model that isn¹t plastic. Black Horse Ranch, H-Rs, Northlights, etc... go into this class. Any china models no matter how limited the run will go here as long as they are made of a china/porcelain, etc... material and are not repainted. The MINI Division is for Stablemates, Pebbles, Chips, PonyPals, Currios, etc. sized models. All Classic & Traditional scale models show in the Regular Division. ***PLEASE NOTE: Collectibility with be judged at the same time as Breed for All OF Halter classes. You MUST provide documentation on Each model placed on the table for that model to be judged for Collectibility. Provide the judge with as much information as possible about the model keeping this info within a 8.5" x 11" area. Information about your models can be found at http://identifyyourbreyer.com or http://www.stonehorseref.com. Models without documentation Will NOT be considered for Collectibility. Workmanship will be judged at the same time as Breed in the AR Halter & CM Halter classes as well, BUT no documentation is required (please, do not display sculptors, painters, etc. of models). ***Another Note - If you assign an "odd" or "lesser known" BREED to your model, DOCUMENTATION should be provided that gives the breed characteristics, coat colors or patterns & any other information that would justify the breed assignment. This info should be kept within a 8.5" x 11" area. Pictures are a plus. This is also a good rule of thumb for models with 'odd or different' coat colors or markings - Show the judge pictures of 'real' horses featuring theses characteristics. -There will be plenty of time for tack changes, however, to keep the show on schedule there is a five minute time limit between performance classes and once a class is called, no entries can be allowed in. So hurry! -Anyone using bad behavior or language, or poor sportsmanship will be asked to leave the show hall with no refund. -The JUDGE’S DECISIONS are final! If you wish to question a judge, please use discretion. -DO NOT pick up anyone’s belongings without permission. If you break it you pay for it! -JUDGES will not be allowed to pick up any horses, so please be sure the correct information is on your tags. -No talking to judges while they are judging a class. No hanging out at judging tables. -NO SMOKING in the building. You may smoke outside, AWAY from the door. Please do not throw butts on the property. -NO ALCOHOLIC BEVERAGES on the premises. -Please LISTEN for all announcements! ***Please remember to bring an SASE If you want a hard copy of your results. FULL RESULTS will be emailed to each entrant. *** Thanks to all for your cooperation. We want this to be a fun time that everyone will enjoy. Model horse showing is for FUN! Let’s keep it that way!